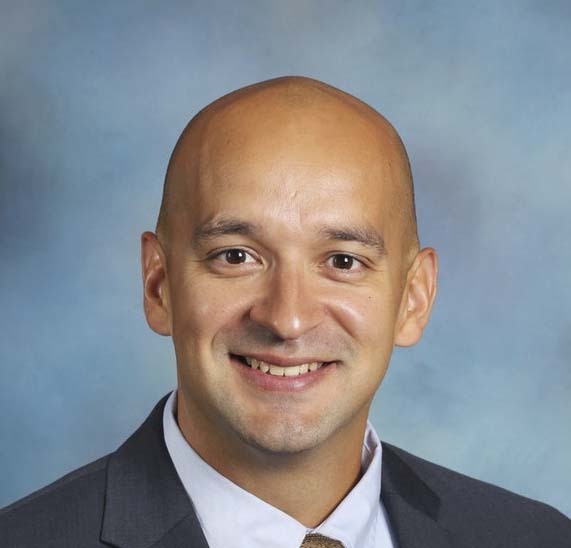 At its October 18, 2018 meeting, the High School District 211 Board of Education approved the appointment of Tony Medina as principal at Palatine High School, effective July 1, 2019. Mr. Medina, currently an assistant principal at the school, will take over the principalship from Gary Steiger, who has been in that role since 2002 and will retire at the end of this school year. Mr. Medina joined High School District 211 in 2006 as a world language teacher at Fremd High School. He accepted his first leadership role in 2013 as the world language department chair at that school. After serving in that capacity for two years, Mr. Medina was appointed 10-month assistant principal at Palatine High School in 2015. He transitioned into his current role as 12-month assistant principal and lead discipline administrator in 2018. Mr. Medina earned his undergraduate degree in business administration and Spanish from Benedictine University in 2004. In 2012, he earned a master’s degree in Spanish from Northeastern Illinois University. Mr. Medina completed a second master’s degree in 2014 in the Illinois Principal Preparation program at Concordia University.